I was a bad girl. Saturday night I was taking some stuff to the local thrift store as a donation. Then, I decided I just had to go in for a quick look (I always look for vintage crochet thread, old embroidered pillow cases, and things like that). 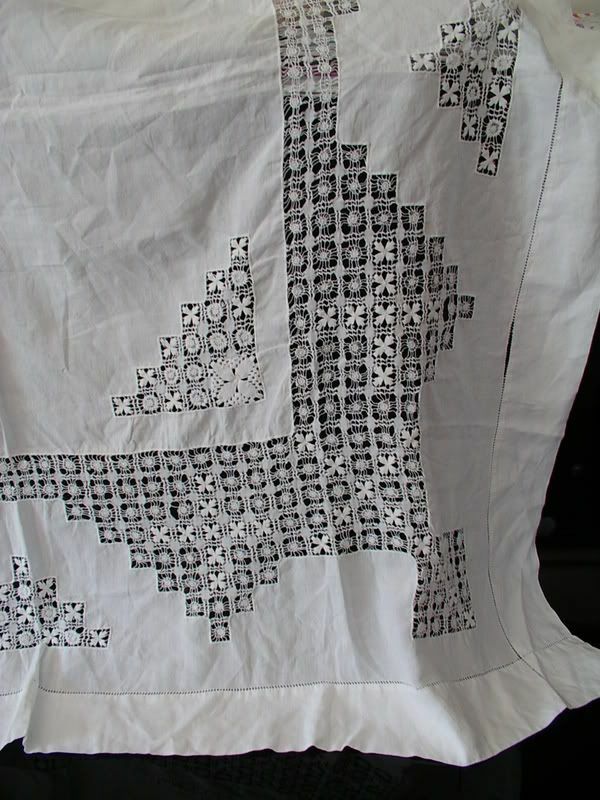 When I found this drawn thread work table cloth, I figured it had to have tons of holes or why would any one chuck it? Upon inspection, I discovered it had one tiny one and I didn't see damage to the embroidery. Then I figured it has to be expensive; but I saw the $2.00 price tag. Oh, that was so going to be mine! It always amazes me how some people just don't think much of hand work, and others would pay hundreds of dollars for this same item on eBay. You never know. Well, this hasn't decided where it is living in my house yet. It still needs a cleaning (even thought it looks real clean). Then I will decide. No matter where it goes, it will be lovely. 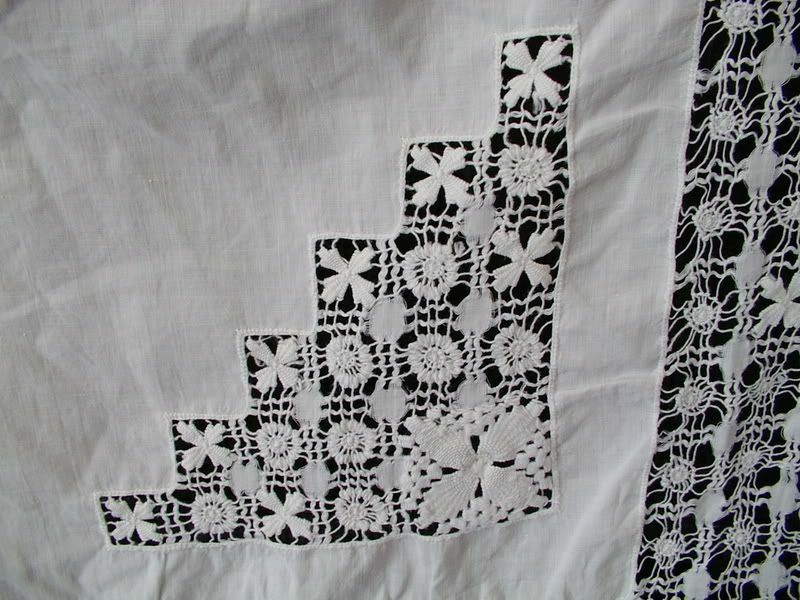 This little cloth is the size of a card table type of cloth; just a lovely little size. It is amazing how much work was put into this one little cloth; a true family heirloom that someone tossed. As the saying goes, "One woman's trash is another woman's treasure." OK, I changed -- it artistic license. But you get my meaning all the same.